Photo by Wayne Towner Boxers Bed and Biscuits, which saw its float soaked by the rainfall which began 40 minutes into Saturday’s Parkersburg Homecoming Festival Parade, won first place for the commercial float category. 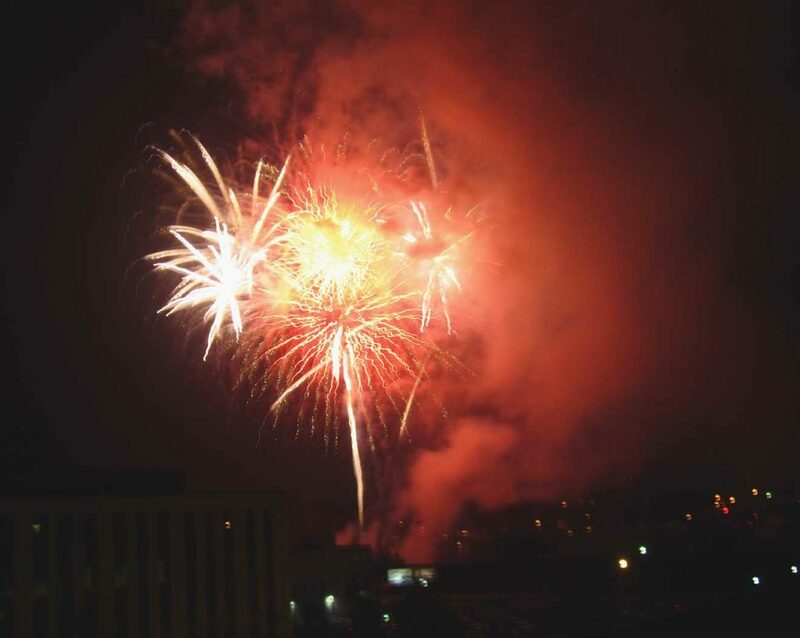 Photo by Madeline Murphy Fireworks ended the second night of the Parkersburg Homecoming Festival. Photo by Madeline Murphy Crowds filled downtown Parkersburg on Saturday afternoon and evening on the second day of the Parkersburg Homecoming Festival. Photo by Madeline Murphy The Thorny Flat Mountain Boys — Ryan Spangenberg, of Madison, Ohio, on the bass, D.W. West, of Parkersburg, singing and playing the guitar and Leon Hart, of Parkersburg, on the mandolin — perform Saturday on the Main Stage at the Parkersburg Homecoming Festival. 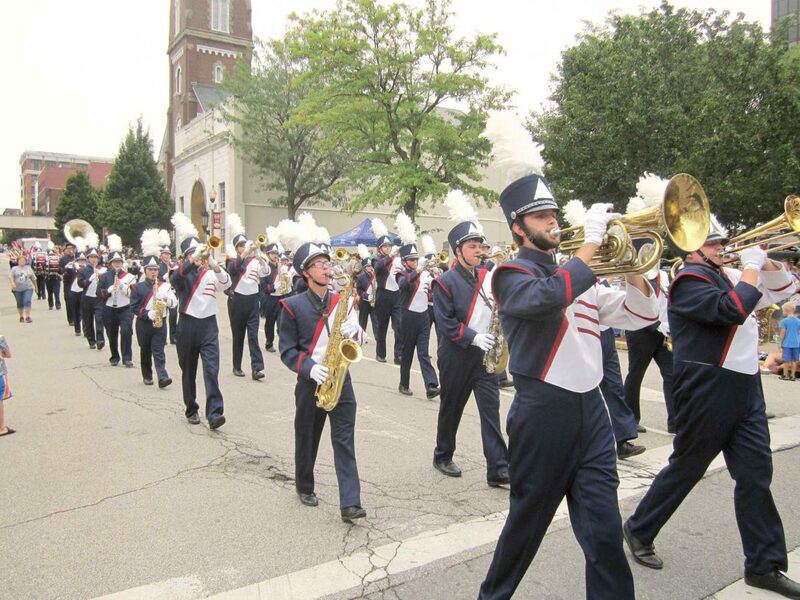 Photo by Wayne Towner The Parkersburg South High School Marching Band participated in the Parkersburg Homecoming Festival Parade on Saturday afternoon. Rainfall came about halfway through the parade, soaking walkers and watchers alike. 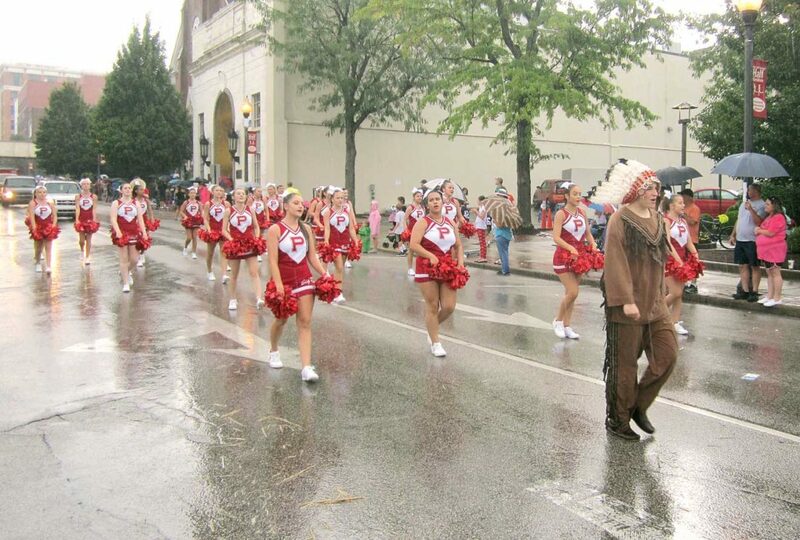 Photo by Wayne Towner The Parkersburg High School Big Red Indian and Cheerleaders closed out the Parkersburg Homecoming Festival Parade on a rainy Saturday afternoon. 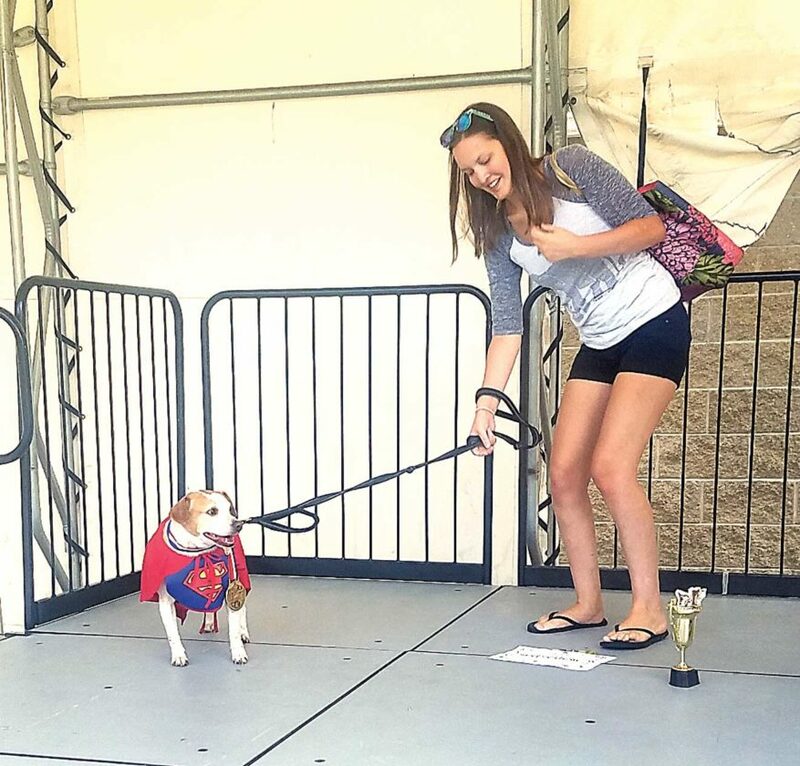 Photo by Madeline Murphy Rockie, a 5-year-old terrier mix, was the winner of the “Best in Show” title with owner Taylor Wilson after accepting his trophy, treats, medal and other prizes Saturday at the Parkersburg Homecoming Festival. 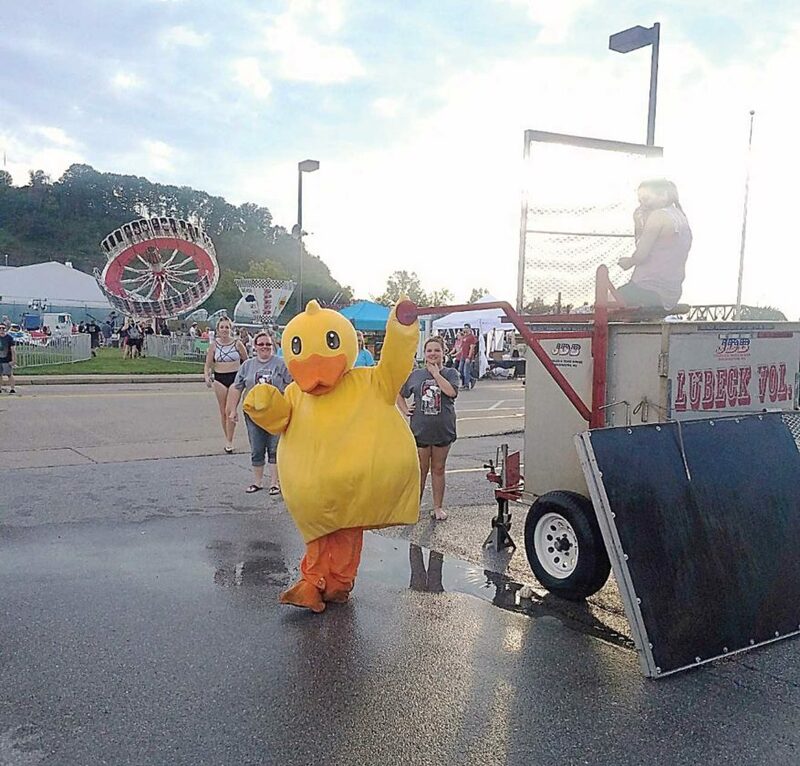 Photo by Madeline Murphy The Rubber Ducky Derby Mascot joined in on the fun by dunking members of the Parkersburg South High School Band as part of a fundraiser for the band Saturday at the Parkersburg Homecoming Festival. 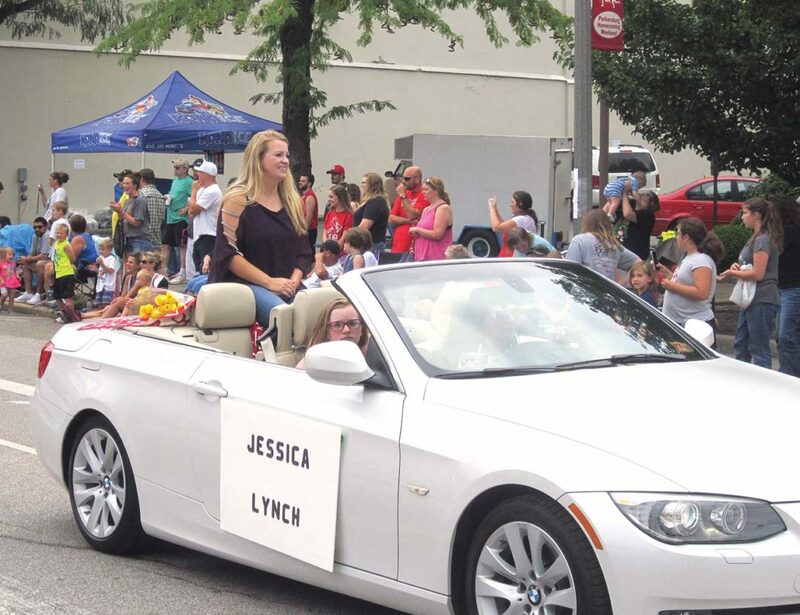 Photo by Wayne Towner Former POW and U.S. Army veteran Jessica Lynch served as parade marshal Saturday for the annual Parkersburg Homecoming Festival Parade. 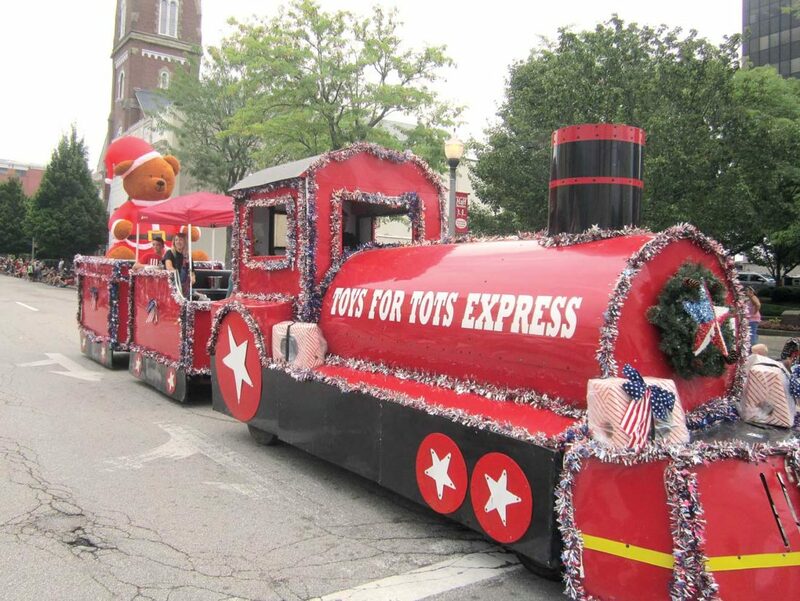 Photo by Wayne Towner The Toys for Tots Express participated in Saturday’s annual Parkersburg Homecoming Festival Parade. 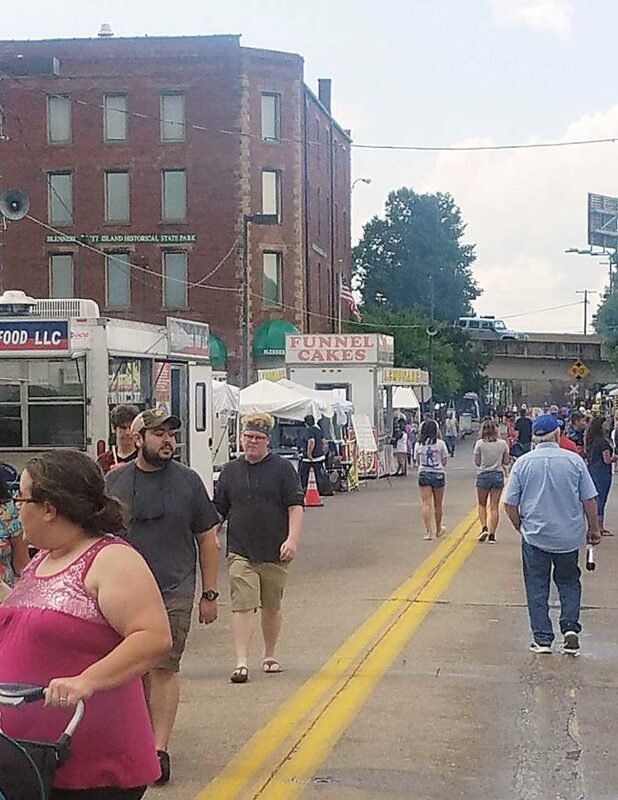 Photo by Madeline Murphy Vendors at the Parkersburg Homecoming Festival re-open Saturday afternoon following rainfall. 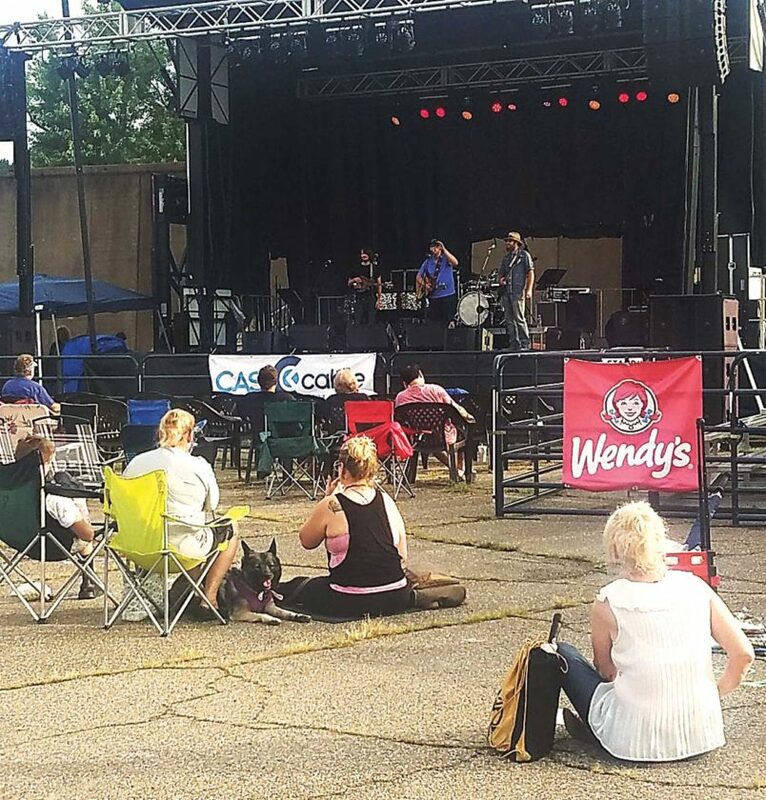 The festival continued through the evening with good weather Saturday night. 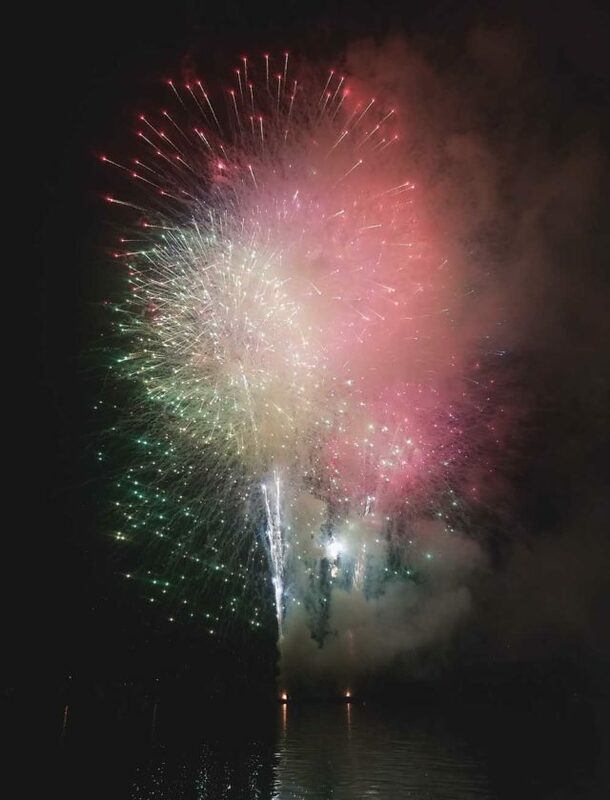 Photo by Wayne Towner Fireworks ended the second night of the Parkersburg Homecoming Festival. 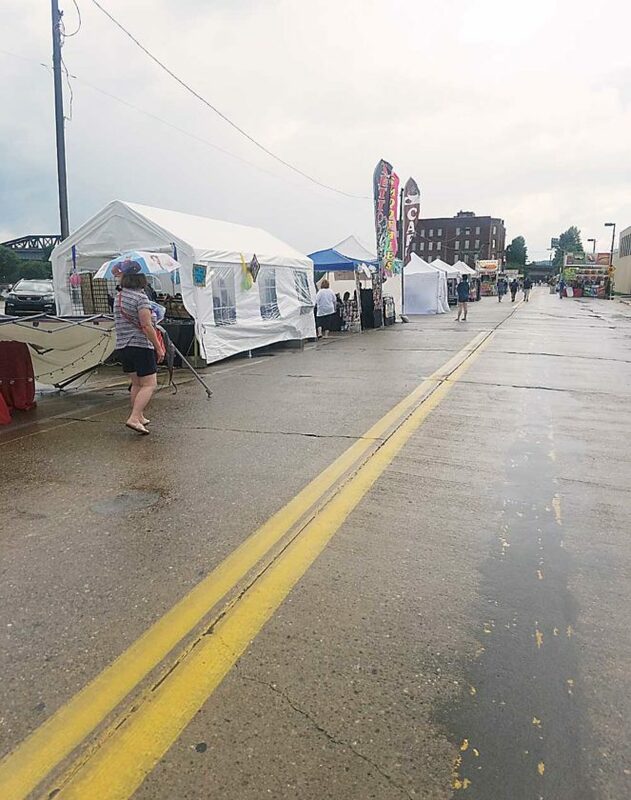 PARKERSBURG — The ground may have become wet Saturday afternoon, but that didn’t dampen the spirits of those attending the Homecoming festivities throughout the day. Early in the afternoon, rain struck Parkersburg, causing the city to put a pause on Homecoming. 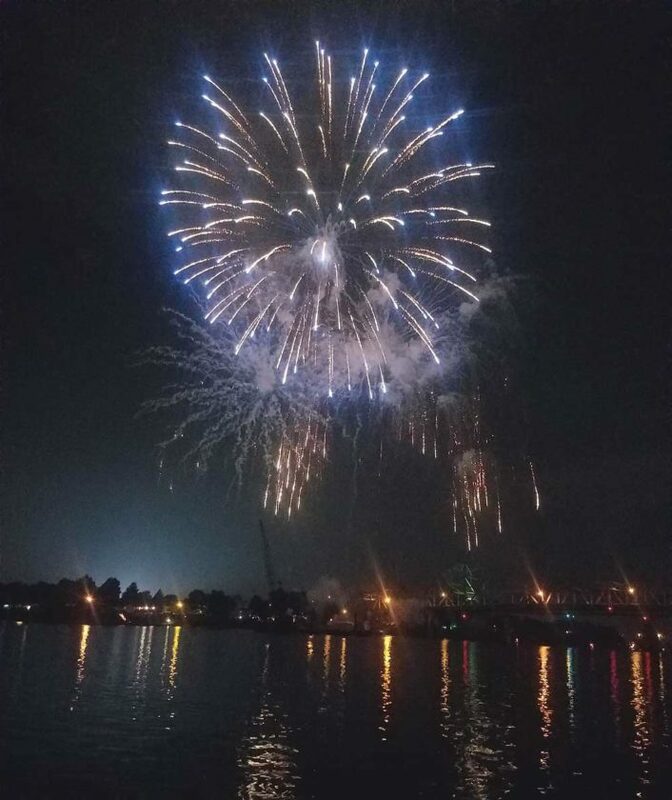 “Festivities will carry on as much as they can,” said Chuck Lipps, a member of the Homecoming board and committee member in charge of entertainment, said Saturday afternoon. 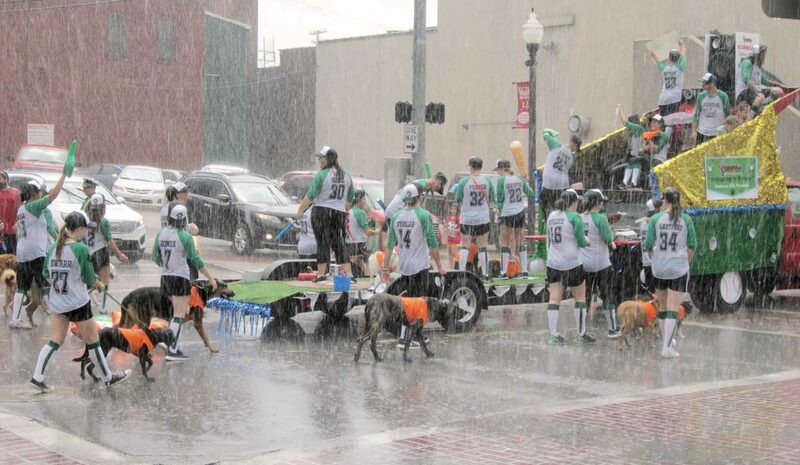 The rain came around 1:10 p.m. Saturday, about halfway through the hour-long Parkersburg Homecoming Parade along Market Street. Parade Chairman John Chalfant said about 84 units showed up for the parade. The rain didn’t impact participation, although at least one marching band near the end of the parade had to withdraw due to lightning concerns associated with the weather, he said. The parade winners were: commercial, first, Boxers Bed and Biscuits, and second, American National University; and non-commercial, first, Grow West Virginia, second, Mineral Wells Patriot Football and Cheerleaders, and third, Cub Scout Pack 12 from Stout Memorial United Methodist Church. Among the activities that pushed on through the rain was Jessica Lynch’s autograph and photo session, which was moved under the covered shelter in Bicentennial Park, the annual dog show coordinated by Angie Harper with Winding Road Kennel, which handed out awards such as dog treats, trophies and coupons to the kennel to contest winners and the American Pro Wrestling Association’s (APWA) wrestling matches. “The rain didn’t encourage too much of a crowd, but we still had a decent turnout for entries.” Harper said of the dog show. 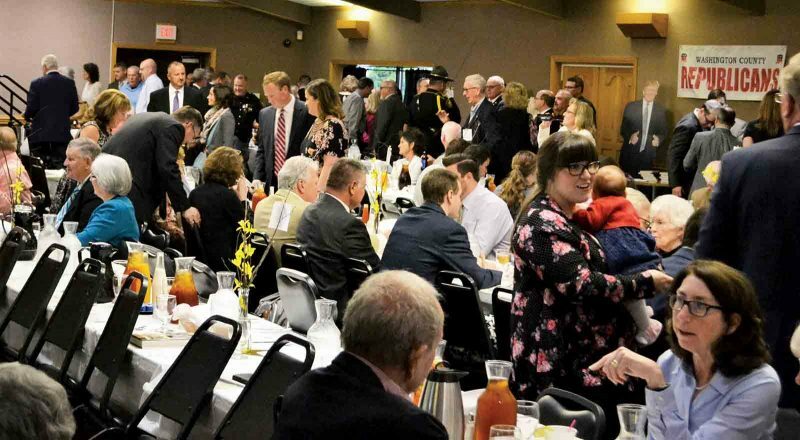 “It was a fun crowd,” said Don West, founder of the APWA, said of Saturday’s wrestling event at Homecoming. 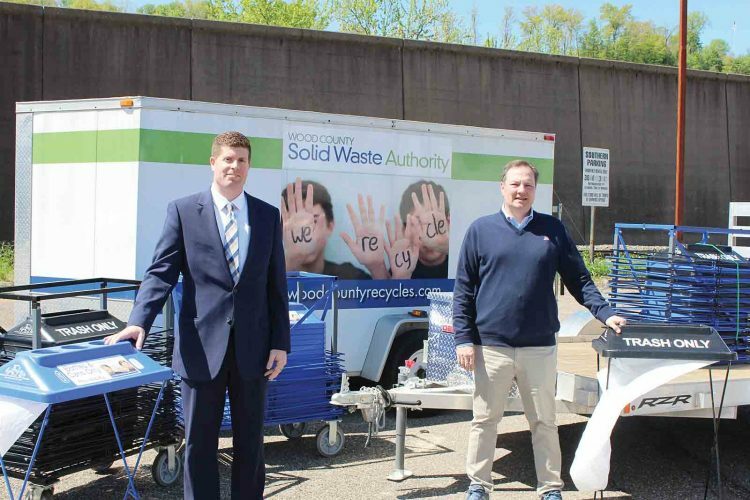 “We have been coming here for a few years now, and would like to continue making it happen,” West said. The musical performances at the Main Stage kicked off around 6 p.m. with the Thorny Flat Mountain Boys, named after the second highest point in West Virginia followed by Broken Road, 52nd Street and Captain Fantastic. 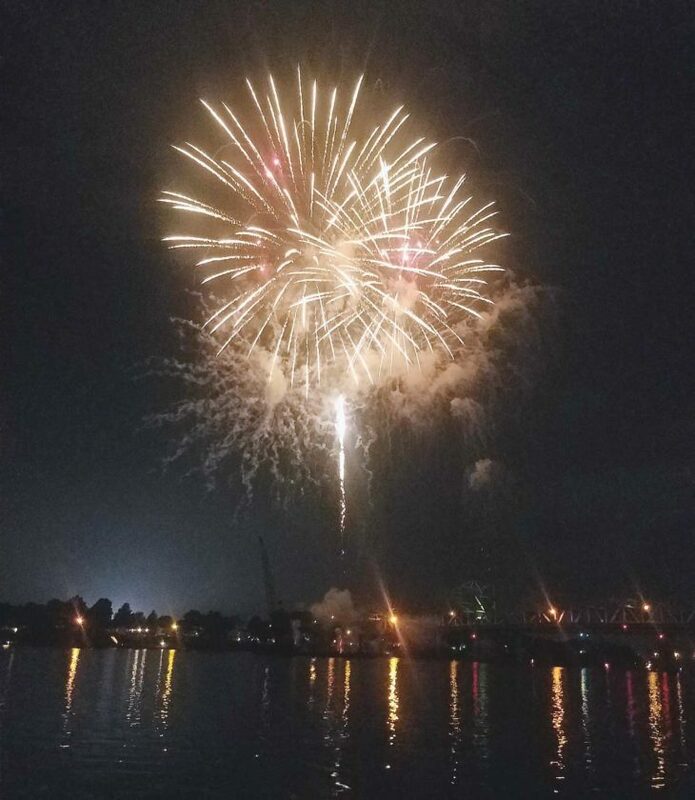 With the sky staying clear into the afternoon and evening, the kids coloring contest, rides and fireworks continued as planned.